The 5th annual Wine Tourism Conference is heading to Loudoun Country, Virginia November 18-20, 2015. We are excited to be in “DC’s Wine Country” this year and surrounded by a wine savvy, metropolitan population that actively pursues wine tourism. In the wine business and thinking about attending this year’s Wine Tourism Conference? We think you should! The 2015 Wine Tourism Conference takes place at the Lansdowne Resort in the heart of Virginia Wine Country and in Loudoun Country. 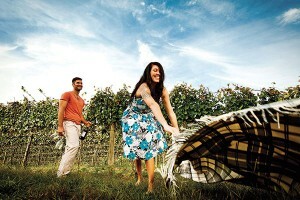 Virginia has excelled in recent years at promoting itself both as a wine producer and also as a tourism destination. The combination of the two makes this is a perfect destination for the first-ever East Coast host of the Wine Tourism Conference. The Lansdowne Resort is in Leesburg, VA and is located just 25 minutes from Washington Dulles International Airport. Lansdowne Resort is the preeminent resort, spa, and golf club experience in Northern Virginia and is also an IACC certified conference center. We look forward to a great conference experience and have a great room block rate for WTC15 attendees. 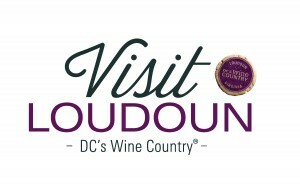 Visit Loudoun is the destination management organization for Loudoun Country and its incorporated towns. They lead the Loudoun tou rism industry and are an Elite Sponsor of the 2015 Wine Tourism Conference. We have been working with Visit Loudoun for many months to organize the logistics and help curate content. 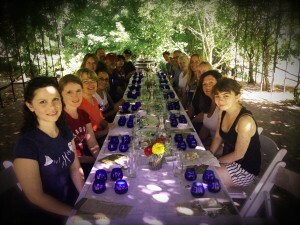 They are very well organized and super personable and are eager to host a top notch Wine Tourism Conference. We look forward to their insights into wine tourism! The conference Agenda is updated monthly and we look forward to learning from all conference speakers and contributors. Back by popular demand are optional, pre-conference Workshops, the day before the conference begins. Workshops provide 3 hour hands-on learning sessions in a smaller environment. What industry event brings together wineries from across the country, wine tour operators, winery associations, tourism associations, students of wine and wine business, pr professionals, members of the media, and many other wine related businesses? There is a great collaborative spirit at the Wine Tourism Conference – some of the best things learned come from open discussions and sharing by attendees. The concept of “wine tourism” is growing world-wide and regions around the world are organizing efforts to increase wine tourism to their areas. The US celebrated it’s second “Wine Tourism Day” last year (the 2015 Wine Tourism Day is November 7) and governments around the globe are thoughtfully investing in their wine tourism programs in order to meet consumer demand. The Wine Tourism Conference is the best way to understand the trends in wine tourism in order to increase visibility, winery visitor numbers, hospitality standards, and profitability. The wine sector is culturally significant for a number of reasons: it supports agriculture, contributes to the historical underpinnings of many regions around the globe, promotes education and learning about other cultures, and, of course, is loads of fun…The Wine Tourism Conference aims to support the wine industry and promote wine + tourism in all its ways, shapes, and forms. 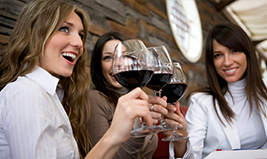 Registration for the 2015 Wine Tourism Conference is open. We look forward to seeing you in Loudoun County, Virginia this November!